A small wind turbine was erected on private land adjacent to West Wales Airport where testing of military Unmanned Aerial Vehicles (UAVs) takes place. There is also a nearby military radar facility at Aberporth. The owner of the wind turbine was of the view that planning permission had been granted for the wind turbine, whereas the local planning authority took the view that it had not. The local planning authority issued an enforcement notice requiring that the wind turbine be dismantled because it did not have planning permission, and it would adversely affect operations at West Wales Airport. Pager Power was appointed to advise the wind turbine on operator regarding UAV and radar interference issues at the subsequent Public Inquiry. There is a region of wind farm development generally to the south east of the M1/M6/A14 interchange near Rugby. The wind turbines typically have maximum tip heights of 125 metres above ground level. Local topography and airspace structure means that all of these turbines are within radar line of sight of the primary surveillance radar at Coventry Airport as well as being beneath important airspace used by aircraft approaching the airport. 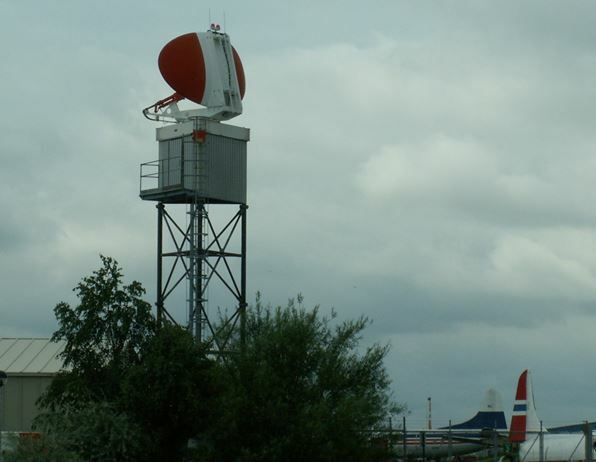 The proposed wind farm had an objection due to its predicted technical impact on the radar at Coventry Airport. Whilst the wind farm developer knew that the proposed wind farm at Lilbourne would have no significant additional impact when compared with the approved neighbouring wind developments it was unlikely that planning permission would be awarded if Coventry Airport’s objection was not addressed. On 6 July 2012 planning permission was granted for a 5 turbine wind development at Lilbourne. Within 30 days of the First Export Date, written confirmation to the Local planning Authority shall be provided confirming that the necessary aviation bodies such as the Ministry of Defence and the Civil Aviation Authority have been given written notice of the date of completion of construction, the height above ground level of the highest structure in the development and the position of each wind turbine in latitude and longitude. The appeal is allowed insofar as it relates to a wind farm located north and south of Lilbourne Lodge, comprising 5 wind turbine generators (Turbines 3, 4, 5, 6 and 7) up to 125m high, access tracks, including access off public highways, a control and maintenance building, crane hard-standings, cable trenches, anemometer mast up to 80m high (for a period of 25 years) and a temporary construction compound. The appeal is dismissed insofar as it relates to Turbine 1 and associated infrastructure. Planning permission is therefore granted for a wind farm located north and south of Lilbourne Lodge, comprising 5 wind turbine generators (Turbines 3, 4, 5, 6 and 7) up to 125m high, access tracks, including access off public highways, a control and maintenance building, crane hard-standings, cable trenches, anemometer mast up to 80m high (for a period of 25 years) and a temporary construction compound at Lilbourne Fields, Lilbourne, Nr Rugby CV23 0SV in accordance with the terms of the application, Ref DA/2009/0731, dated 16 September 2009 so far as relevant to that part of the development hereby permitted and subject to the conditions in annexe 1.
substantial proof of evidence was prepared for the public inquiry. 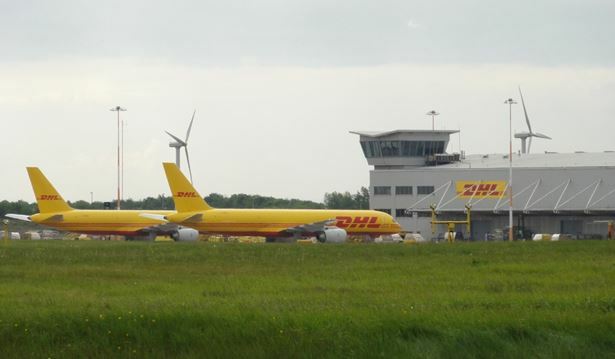 The evidence was not heard because an agreement was reached with Coventry Airport.